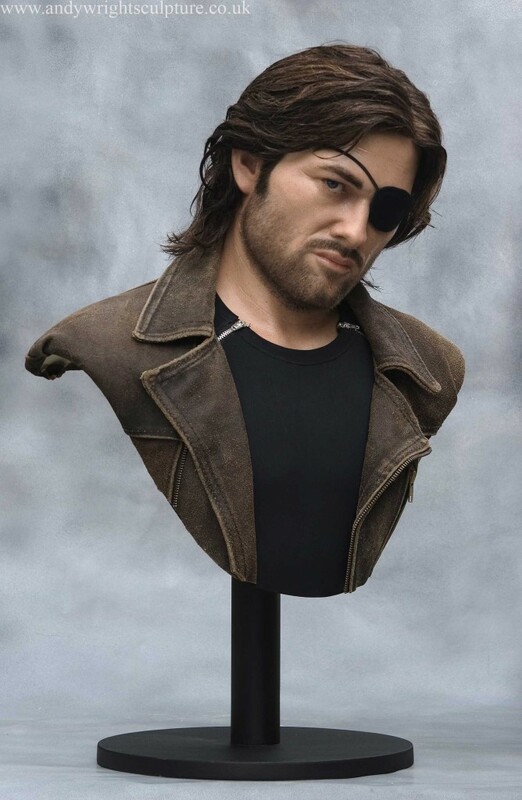 The Snake Plissken bust was started by collecting as many photos of Kurt Russell as I could find around 30 years of age. 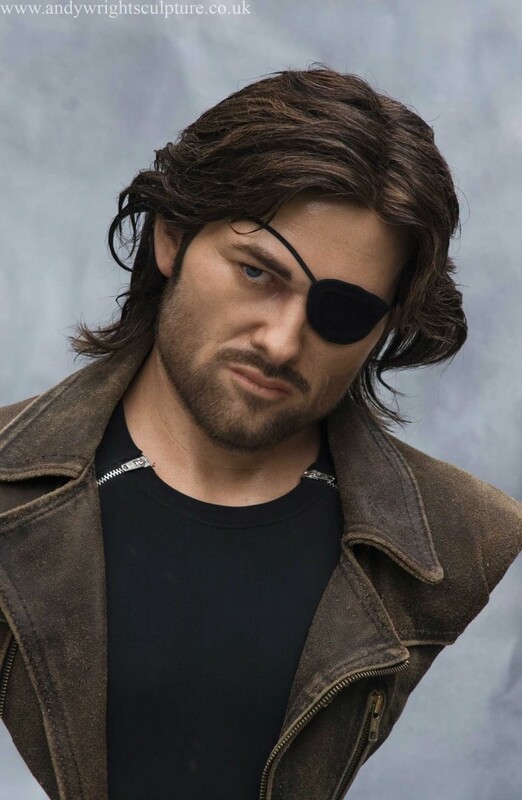 Even with a beard and an eye patch, you still need to know what is meant to be underneath. With the specific pose and look decided on, a steel armature was made that was attached to a wooden base. Water based clay was then used to block out the head and shoulders. 3 weeks were then spent working on the head alone, refining it until I was happy. At that point it was put back on his neck and the rest of the sculpture finished, including adding pores and wrinkles. Once finished, the clay was sealed and moulded in fibreglass. From this, a silicone skinned replica of the sculpture with a fibreglass underskull was produced. 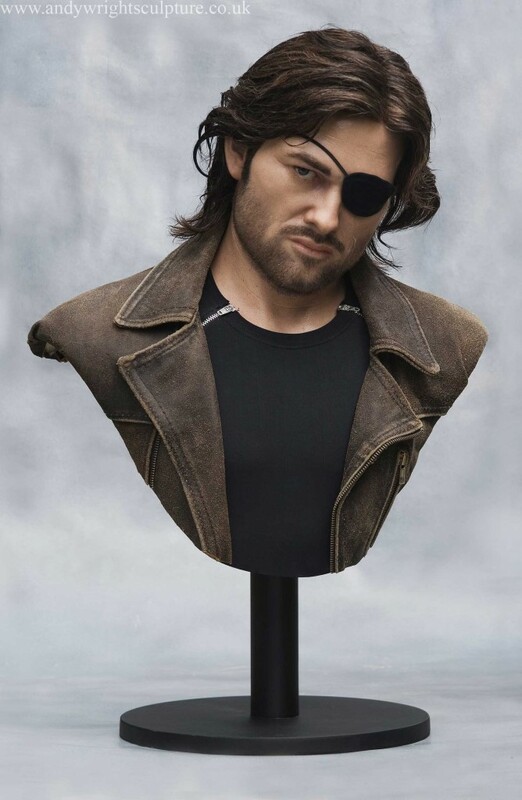 Painted with numerous washes to mimic skin, hair was then implanted for his scalp, eyebrows, eye lashes, and beard. At this point he looked somewhat like a hobo, so cutting and styling was in order next. Hand made eyes fashioned from acrylics were then inserted. 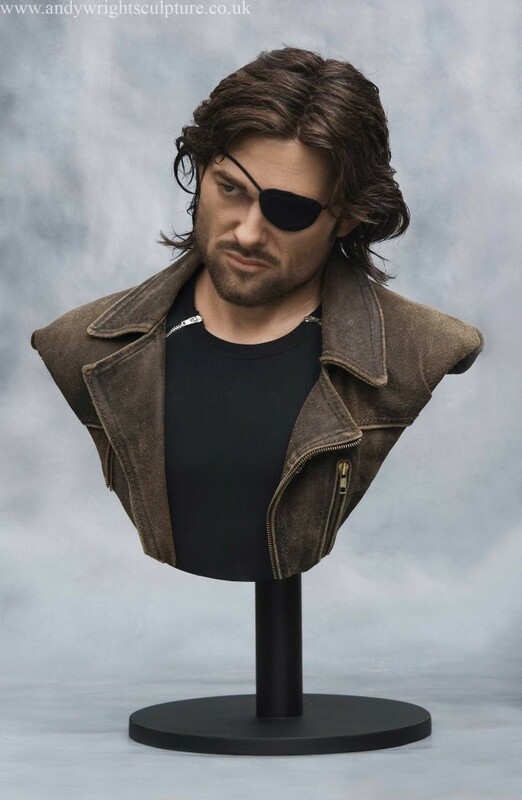 Lastly, a leather jacket and custom made tank top shirt were added to finish him….oh, and not forgetting his obligatory eye patch! !